Posted on October 29, 2016 Author KibetCategories Free Travel Kindle Books, TravelersLeave a comment on Kindle Travel Deals for Saturday! Posted on October 29, 2016 Author KibetCategories Free Travel Kindle BooksLeave a comment on Kindle Travel Deals for Friday! Posted on October 28, 2016 Author KibetCategories Budget, Free Travel Kindle BooksLeave a comment on Kindle Travel Deals for Thursday! *The New York Photographer’s Travel Guide: The Best Places to Photograph from a Professional Photographer, Tour Guide, and Lifelong New Yorker by James Maher. Price: Free. Genre: Mid Atlantic, Architectural. Rated: 5 stars on 7 Reviews. 106 pages. ASIN: B01M4LXPQN. Posted on October 26, 2016 Author KibetCategories UncategorizedLeave a comment on Kindle Travel Deals for Wednesday! *Germany Travel Guide by Lars Jonsson. Price: Free. Genre: Tourist Destinations & Museums, Germany. Rated: 5 stars on 5 Reviews. 125 pages. ASIN: B01LYQ2FAY. Posted on October 26, 2016 Author KibetCategories UncategorizedLeave a comment on Kindle Travel Deals for Tuesday! 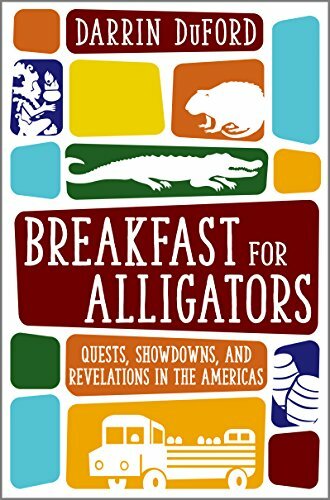 *Breakfast for Alligators: Quests, Showdowns, and Revelations in the Americas (Deal, Not Free) byDarrin DuFord. Price: $0.99. Genre: Nonfiction Book Deal, Sponsor, Travel Memoirs, Travel Experiments. Rated: 4.7 stars on 17 Reviews. 218 pages. ASIN: B01FMX5LEE. Posted on October 25, 2016 Author KibetCategories memoir, TravelersLeave a comment on Kindle Travel Deals for Monday! Great Book about the Author’s Travels! Phrase Book: Spanish Phrase Book To Get Along On Your Trip To Barcelona & Spain (Spanish, Europe, Travel Guide) by Gustavo Smith. Price: Free. Genre: Spain & Portugal, Language Experience Approach, Barcelona, General, Education & Reference, Travel. Rated: 4.4 stars on 5 Reviews. 40 pages. ASIN: B01M21QXHG. Posted on October 23, 2016 Author KibetCategories Biographies, Free Travel Kindle Books, memoir, TravelersLeave a comment on Kindle Travel Deals for Sunday! Humorous taste of other countries! 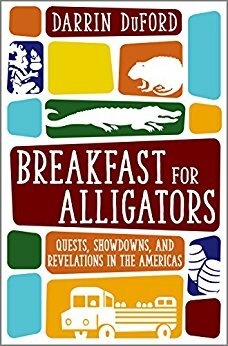 *Breakfast for Alligators: Quests, Showdowns, and Revelations in the Americas (Deal, Not Free) by Darrin DuFord. Price: $0.99. Genre: Nonfiction Deal, Sponsor, Travel, Memoirs, Gastronomy, True Stories. Rated: 4.7 stars on 15 Reviews. 218 pages. ASIN: B01FMX5LEE. The Dark Scrolls (An Ennin Mystery #11) by Ben Stevens. Price: Free. Genre: General, Suspense, Travel, Historical, Japan. Rated: 4.4 stars on 5 Reviews. 25 pages. ASIN: B00JADCPXI. 50+ Questions to Ask While at the Dinner Table: Questions to Share, Connect, and Grow by Lisa Rusczyk. Price: Free. Genre: School-Age Children, Travel Games, Puzzles & Games, Parenting & Relationships. Rated: 4.1 stars on 7 Reviews. 22 pages. ASIN: B00T52CSM2. Posted on October 22, 2016 Author KibetCategories memoir, TravelersLeave a comment on Kindle Travel Deals for Friday! *Shipping Container Homes: Definitive Guide to Designing and Building a Shipping Container Home Including Living, Traveling, and Budgeting Tips (Sustainable Living, Shipping Container, Small Home) by John Campbell. Price: Free. Genre: Home Improvement, Design & Construction, Sustainable Living. Rated: 4.6 stars on 15 Reviews. 30 pages. ASIN: B01LWWBWND. San Diego Travel Guide: The Top 10 Highlights in San Diego (Globetrotter Guide Books) by Marc Cook. Price: Free. Genre: Tourist Destinations & Museums, San Diego, Pacific, Travel. Rated: 4.4 stars on 5 Reviews. 26 pages. ASIN: B015JK3VKG. Funny Feckin’ Irish Jokes: Humorous Jokes About Everything Irish…sure tis great craic! by S. Daly. Price: Free. Genre: Ireland, Travel, Jokes & Riddles, General, Humor & Entertainment. Rated: 4.3 stars on 7 Reviews. 58 pages. ASIN: B01EVQB3XG. Posted on October 20, 2016 Author KibetCategories Biographies, Budget, Free Travel Kindle Books, memoirLeave a comment on Kindle Travel Deals for Thursday! 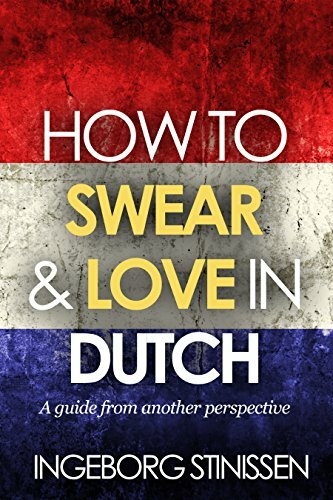 *(Free For Kindle Unlimited) How to swear & love in (Deal, Not Free) by Ingeborg Stinissen. Price: $2.99. Genre: Nonfiction Book Deal, Sponsor, Belgium Travel Guide, Belgium Language Guide. Rated: 5 stars on 1 Reviews. 68 pages. ASIN: B01C1013BG. Posted on October 19, 2016 Author KibetCategories UncategorizedLeave a comment on Kindle Travel Deals for Tuesday!